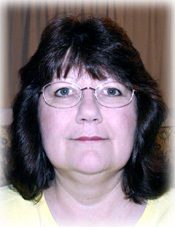 Marie L. Monyak is a freelance writer living in Ketchikan, Alaska. A freelance writer is an uncommitted independent writer from whom a publisher, such as SitNews, can order articles/photographs for a fee. Contact Marie at mlmx1[at]hotmail.com for costs and republication permission. Republication fees are required for articles and/or photographs. Spring Wine Tasting Event Helps Raise Funds For Scholarships - Recently the Ketchikan CHARR (Cabaret, Hotel, Restaurant and Retailers Association) held their annual Spring Wine Tasting Event at the Ketchikan Visitors Bureau located downtown on the cruise ship dock. The steady flow of people attending the festive event indicated that it would be another successful fundraising program for CHARR. - More..
Ketchikan Gymnastics Club Hosts Annual Exhibition - The Ketchikan Gymnastics Club (KGC) held their 2006 Gym Show and Award Ceremony last week on Tuesday, Wednesday and Thursday evenings. The KGC is a non-profit organization governed by a board of directors and managed by Head Coach Rhiann Golder with the help of assistant coaches Aliyah Pipal, Alison Kelly and Kim Cole. Award Winning Author Visits Ketchikan - The Ketchikan Public Library recently hosted author Pam Houston who gave a short presentation and a reading from her first and most recent novel Sighthound which was published in January of 2005.